When you’re turning left, look for traffic – The number one cause of fatal accidents for motorcyclists is when a vehicle turns in front of them. When you’re turning left, make sure you look out for motorcyclists. 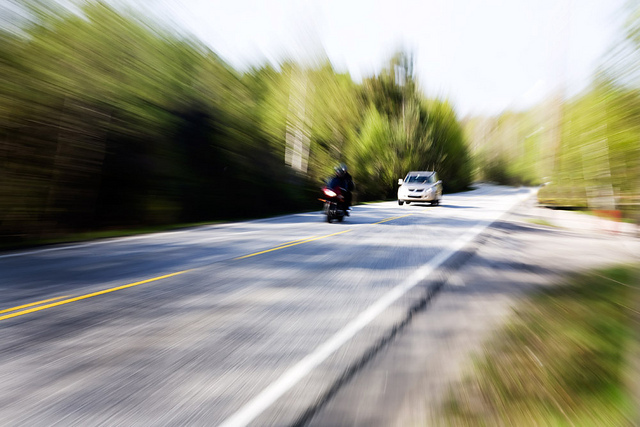 Increase your following distance – Motorcyclists have a much quicker stopping distance than cars do. This means that if they stop suddenly and you’re following too close, your chances of rear-ending them are high. Since they also often slow down by downshifting, this doesn’t activate the brake light. So make sure you’re paying attention. Allow them to swerve – Motorcyclists often adjust their position in a lane to be seen better or to avoid things like potholes and debris. Give them room in the lane to do so if you’re passing them, and don’t ever try to share the lane with them. Follow these tips and you’ll have a safe and happy spring! Be sure to stop in and see us at Don Robinson Mitsubishi this spring for some great deals on new Mitsubishi models!